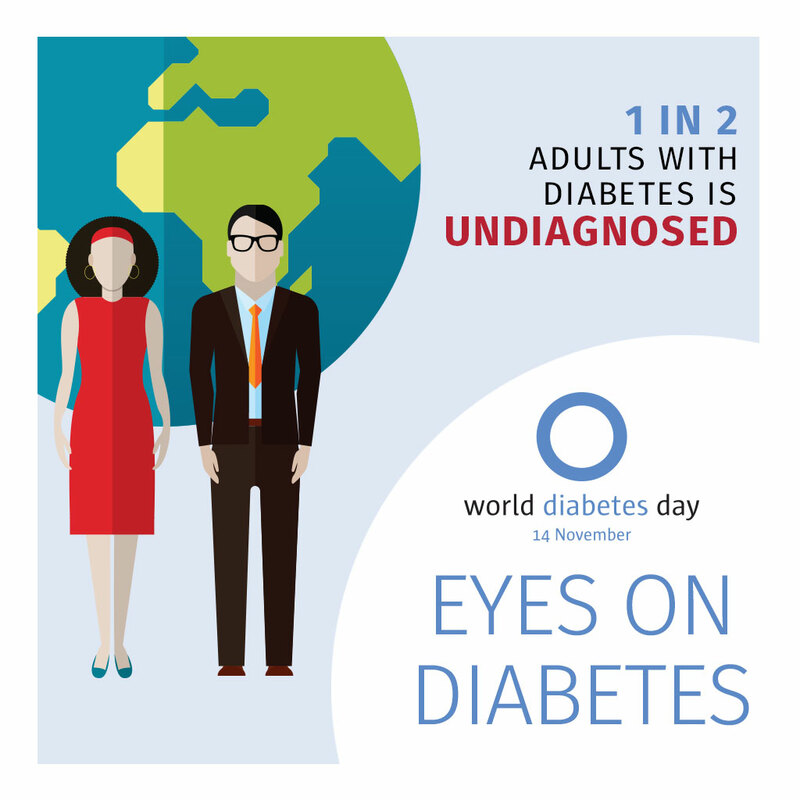 The theme of World Diabetes Day 2016 is Eyes on Diabetes. The year’s activities and materials will focus on promoting the importance of screening to ensure early diagnosis of type 2 diabetes and treatment to reduce the risk of serious complications. (previously known as insulin-dependent or childhood-onset diabetes) is characterized by a lack of insulin production. 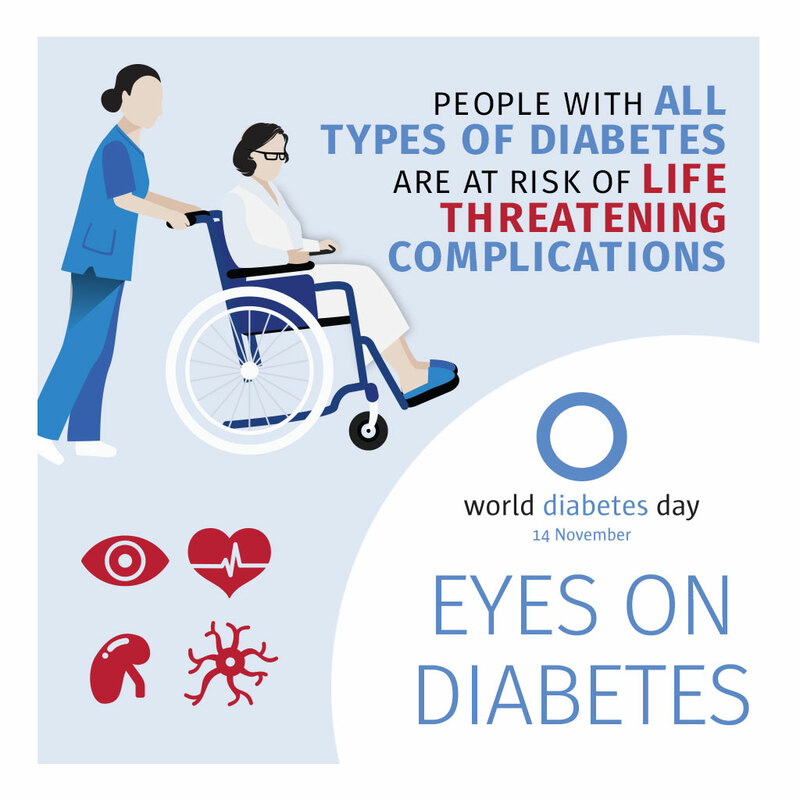 (formerly called non-insulin-dependent or adult-onset diabetes) is caused by the body’s ineffective use of insulin. It often results from excess body weight and physical inactivity. 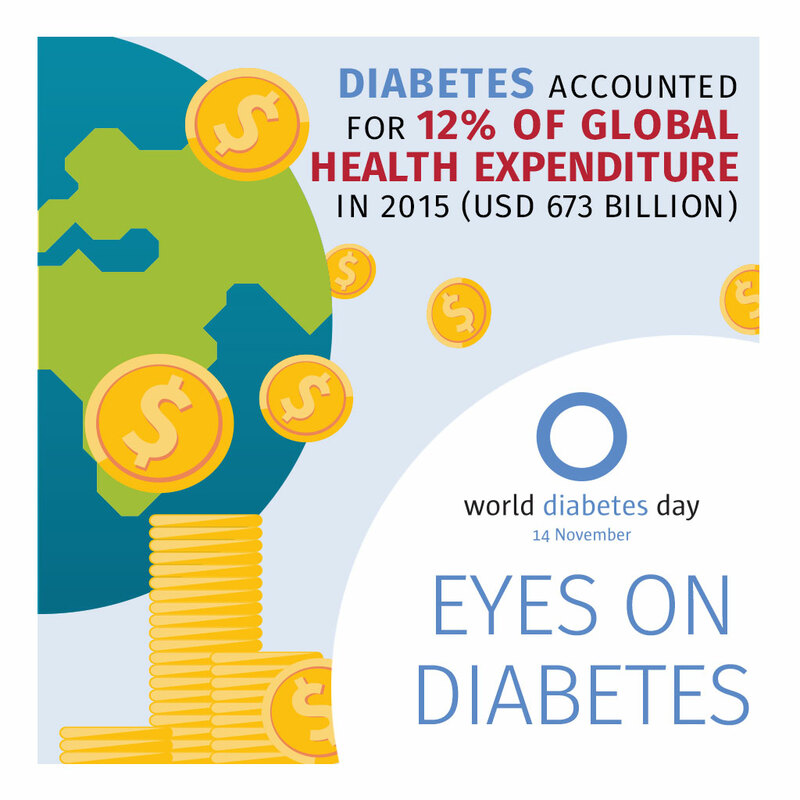 is hyperglycaemia that is first recognized during pregnancy. 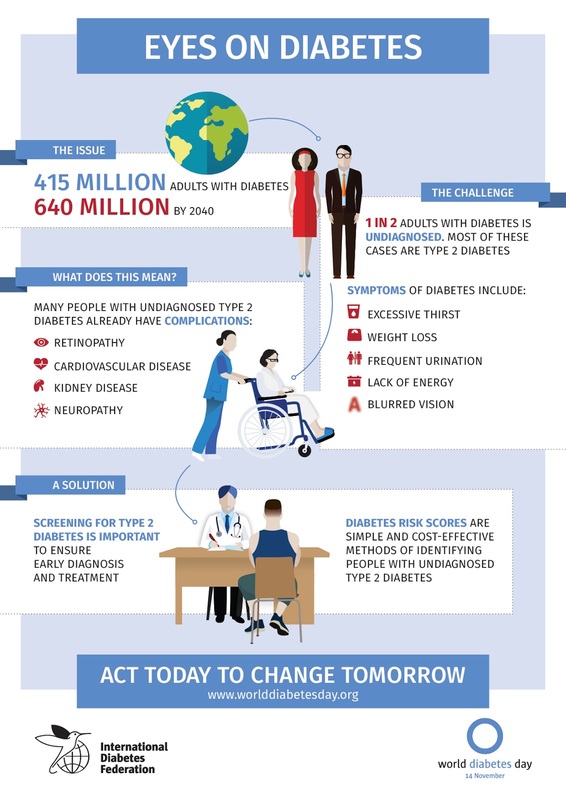 The IDF Diabetes Atlas, Seventh Edition 2015 provides the latest figures, information and projections on the current and future magnitude of the diabetes epidemic.